Charity trustees should consider merging or winding up their organisations if other charities are fulfilling similar aims more effectively, a new draft version of the code for charity trustees recommends. 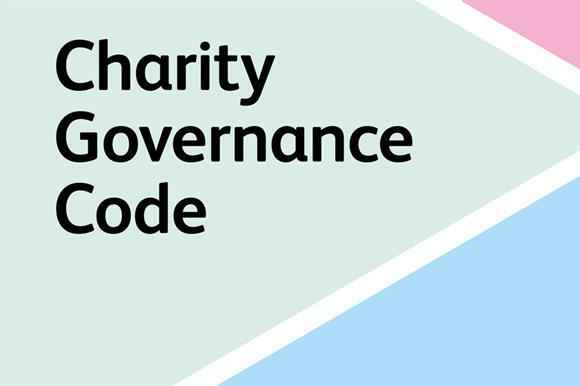 A new edition of the Charity Governance Code, which was previously known as Good Governance: a Code for the Voluntary and Community Sector, has been published for consultation to coincide with the start of Trustees’ Week today. In a statement announcing the new version of the code, which was originally published in 2005 and last updated in 2010, the National Council for Voluntary Organisations, described the update as a "major overhaul". In a section of the updated document about what has changed, the code says it "now places a greater emphasis on values, accountability, transparency, probity, maintaining control, leadership and the diversity of opinions and skills". It says: "Its premise is that charity boards must be able to maintain a strategic focus, commit to board development and stay true to the organisation’s charitable purposes." The document recommends that boards should undertake or oversee strategic reviews, including assessing the sustainability of income sources and business models and their impact on achieving charitable purposes in the short, medium and long terms. "As part of this exercise, trustees consider partnership working, merger or dissolution if other organisations are seen to be fulfilling similar charitable purposes more effectively," it says. The code is a tool that should be used by charities to support continuous improvement in their governance arrangements and practices, not as a one-off exercise to help it hit the bare minimum, it says. The reworked code has been developed by a working group made up of representatives from the charity leaders body Acevo, the NCVO, the Small Charities Coalition, the governance body ICSA, the Association of Chairs and the Wales Council for Voluntary Action. The Charity Commission acts as an observer. The new version of the code says charities using it should adopt an "apply or explain" approach – either take on the good practice outlined in the code or be able to explain what they have done instead. It also recommends that larger charities publish statements in their annual reports setting out how they apply the code and explaining their alternative approach in the areas where they do not follow its recommended practice. The document includes a new section on the importance of effective leadership and a recognition that the culture and behaviour of the charity and its board are as important as its governance structures and processes. Boards should regularly review the external environment and assess whether the charity is still relevant, and should consider partnership working, merger or dissolution if others are seen to be fulfilling similar purposes more effectively, the new version says. It also has colour-coded sections to make it clear which elements apply to larger or smaller charities. Rosie Chapman, chair of the code’s steering group, said: "We want the code to act as a tool for continuous improvement for charities of all sizes, including those that are already operating to high standards in governance. "With this in mind, this draft code contains some stretching objectives, but we believe they are all achievable." Chapman said the group planned to create resources to help charities implement the recommendations once the document is finalised, and was keen to hear from as many people as possible during the consultation. Sir Stuart Etherington, chief executive of the NCVO, said the new draft accounted for changes in law and practice, and better relected the expectations of charities. Becca Bunce, policy and engagement manager at the Small Charities Coalition, said she hoped the rewritten code would make it simpler for small charities to engage with. The consultation runs until 3 February 2017. The draft code and consultation questions can be found here.